For over 20 years, Oldtown Florist Weddings has been the go to local Portland florist for couples that want more than just any old flowers for their big day. 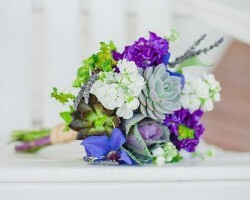 This company is made up of a group of artists and floral designers that are dedicated to making your romantic wedding vision come to life by using the freshest and most colorful flowers they can get their hands on. You can choose from the exotic and in-season flowers to makeup all of the décor, the bouquet and the centerpieces for the occasion. Jackson’s Flowers offers all of the floral options you could possibly want to make your wedding day look and feel special. 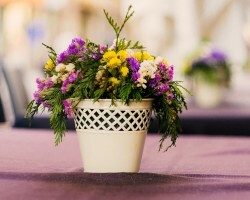 You can hire this company to simply create a beautiful bouquet for the bride or can have them complete the décor for the venue and the tables as well. According to reviews, their flexibility and creativity are well worth having them come and create a romantic atmosphere for your entire occasion. 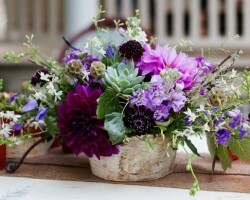 You will not find a more professional florist for your Oregon wedding. There are plenty of florists in Portland, OR that claim to offer a great selection of arrangements, but only Bloomsberry will help you to completely customize the floral design for your wedding. This means that you will not just have flowers in a vase but creative and completely styled flowers throughout the venue, using other outside materials to heighten the effects. This company is most well known for their innovative arrangement and décor ideas that will be completely customized to your wedding. When you would like to work with a flexible and talented floral designer that will work closely with you to create all of the décor then you need to hire Flowers Exclusively by Wendy. You can make an appointment for an initial consultation with the artist to discuss the flowers and colors you like as well as the style for the entire event. This information will make it easy for this designer to provide you with detailed wedding flowers that reflect your style and the significance of the day. 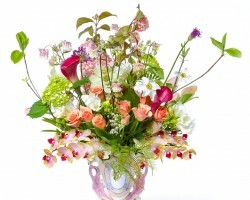 For special occasion arrangements and flowers delivery in Portland, City Flowers does it all. Though this company does have pre-designed options that you can choose from and send, they also offer custom services so you can make the flowers that you choose even more special. One of the best things about working with this company over other flower shops in the area is that their selection is incredibly affordable. 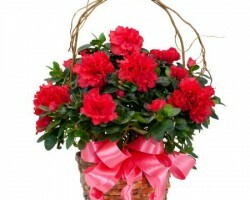 As this has been one of the top florists in the area since it was established in 1907, you can be sure that you are in good hands.